After two days of Palestinian rockets and Israeli air strikes the two sides are respecting a cease-fire mediated by Egypt in the Middle East. 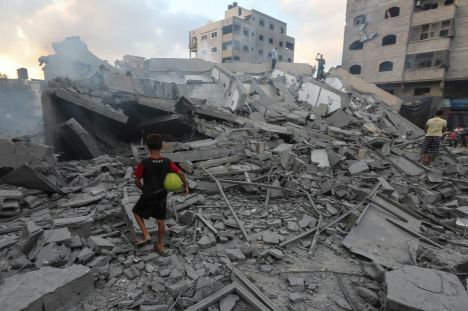 American news agency AP reported on Friday, August 10, that Israel’s military said that no rockets were fired from Gaza at Israel overnight and it conducted no airstrikes in Gaza against targets of Hamas militants. Palestinian militants fired some 200 rockets at Israel and the Israeli military carried out a similar number of airstrikes in Gaza in this latest round of violence. During the fighting, the Palestinian Health Ministry stated, three Palestinians were killed and dozens wounded, while Israeli authorities have reported that seven people have suffered wounds by rocket or mortar attacks on the Israeli side.